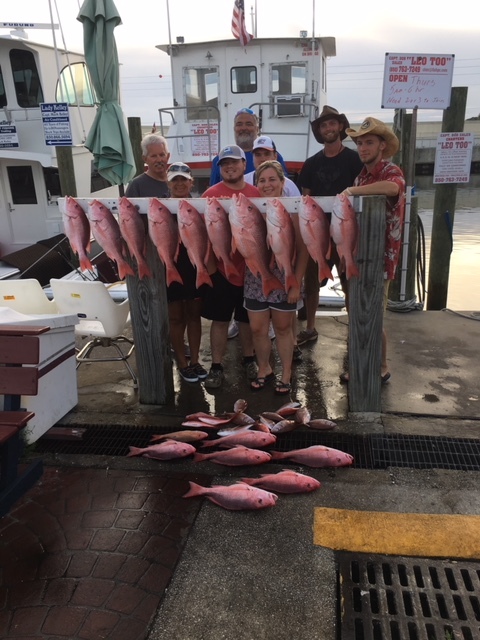 Fishing has been great, weather has been great, call today to book your fishing trip. 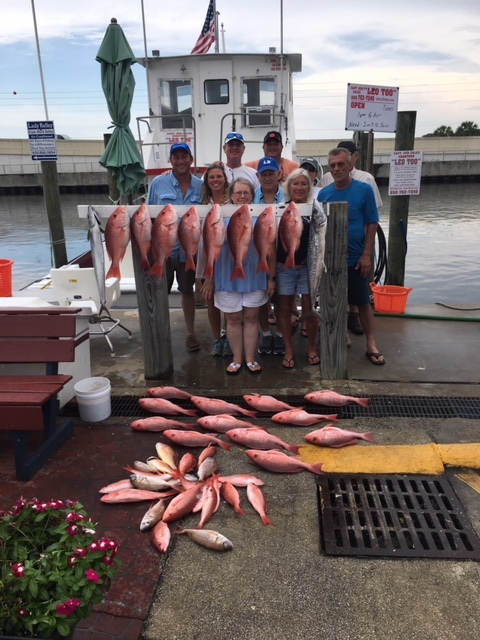 Enjoy the pictures of our recent trips and go to youtube.com and search for Capt Bob Zales Charters to see the many videos of fishing on the LEO TOO!!! 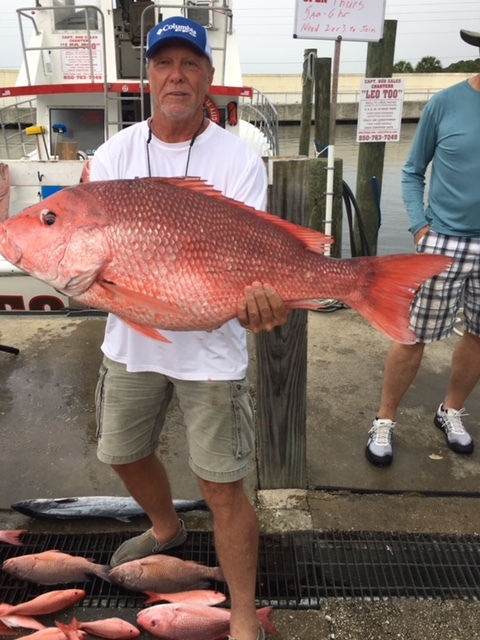 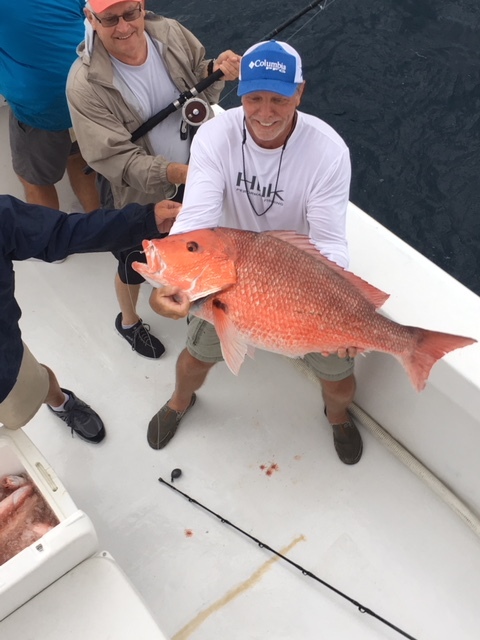 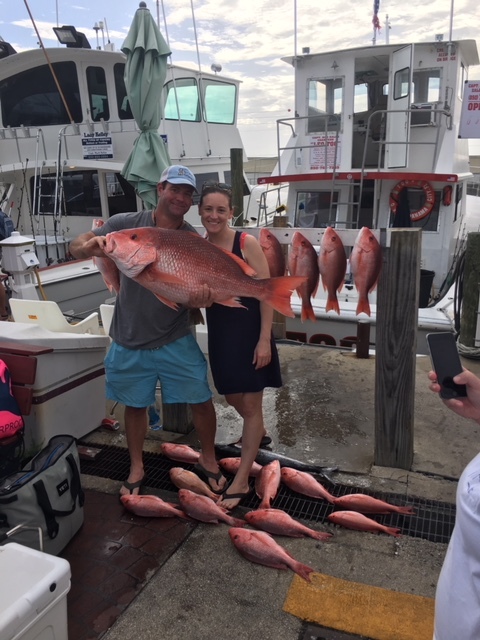 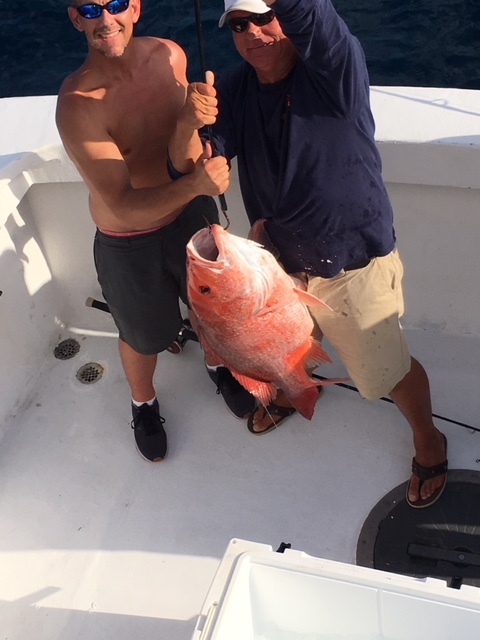 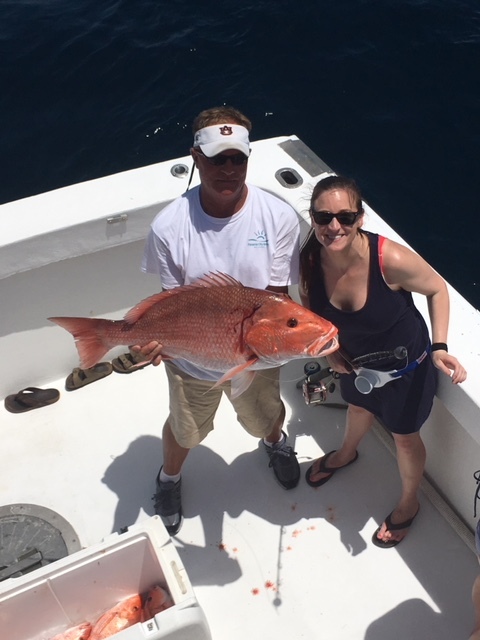 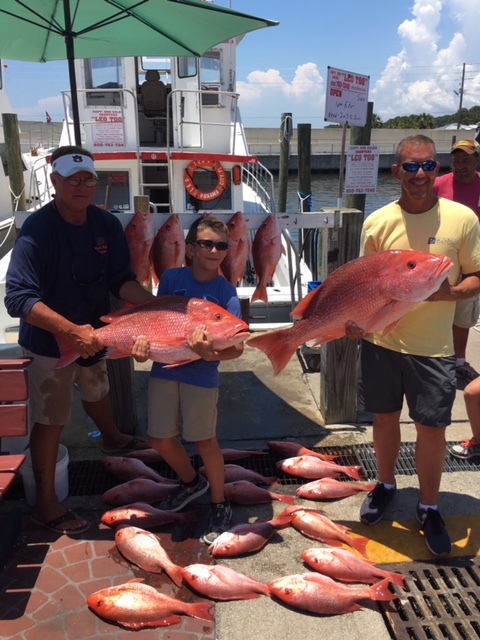 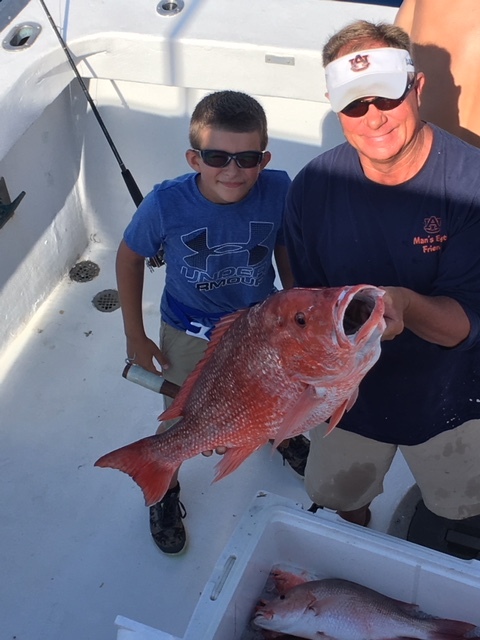 We are catching limits of red snapper on every trip. 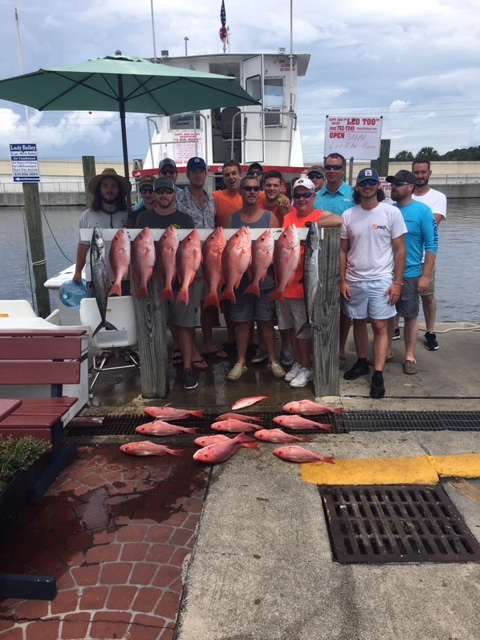 Yesterday, Sat, we caught two large red snapper, 22 and 30 pounds. 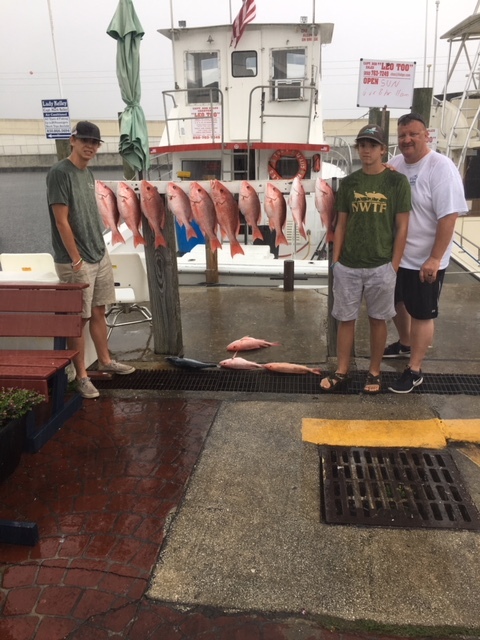 They were caught by a father son team so it was a special trip. 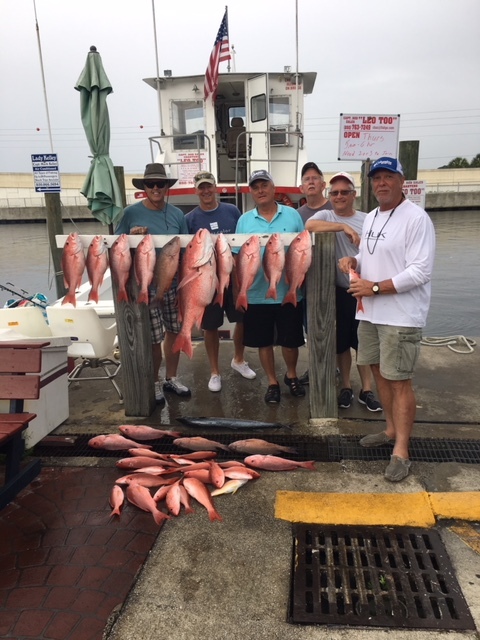 Continue to check you tube for Capt Bob Zales Charters to view my videos of trips. 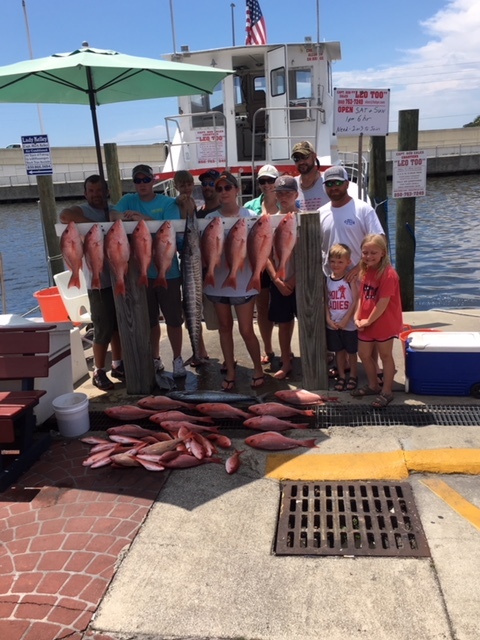 They show what fishing is all about, especially when it comes to families. 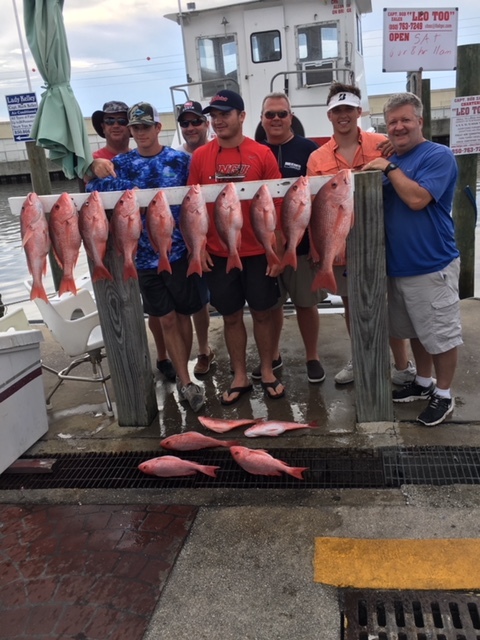 I only have a couple days left in June and a few in July so call to book your trip today. 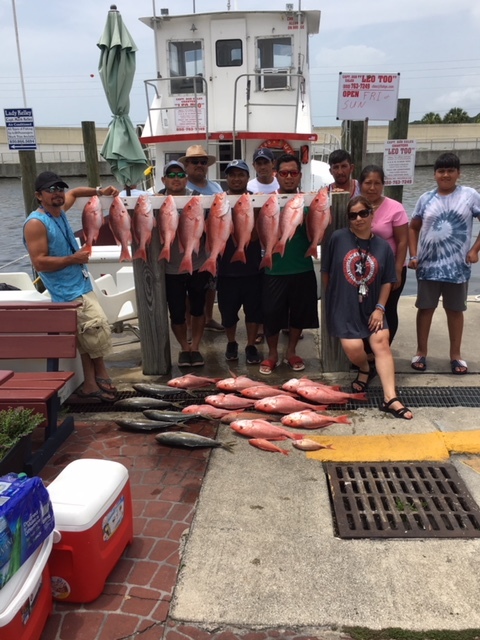 fishing has been great since June 1 and the weather has been great also with the long range forecast for more good weather. 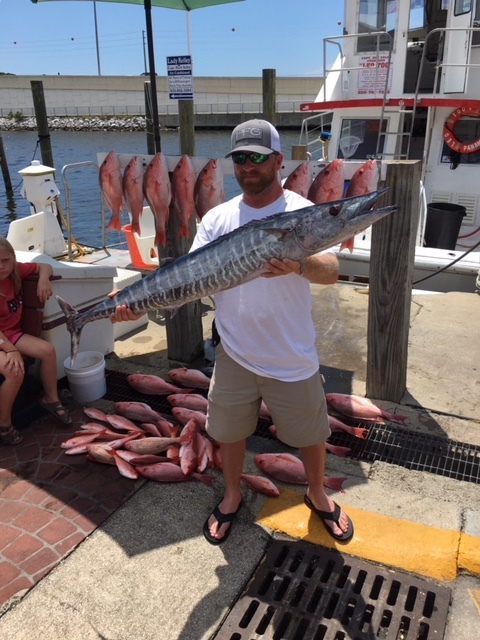 We caught our first wahoo of the season today and have our limit of red snapper on every trip with some vermilion snapper, red porgies and even a few gag groupers mixed in along with a few king mackerel. 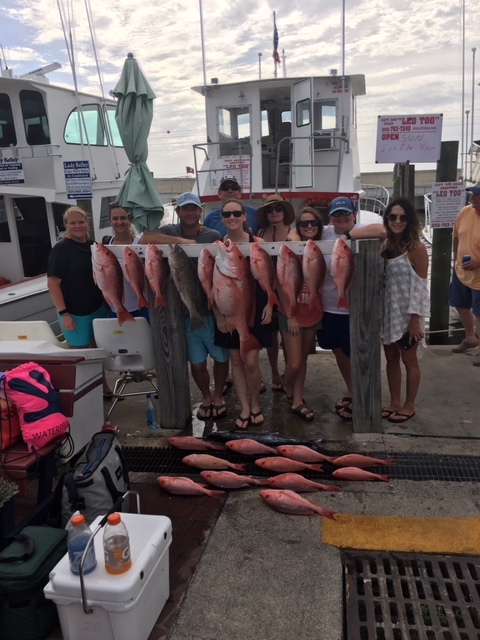 June is almost filled up but we have some afternoon trips available. 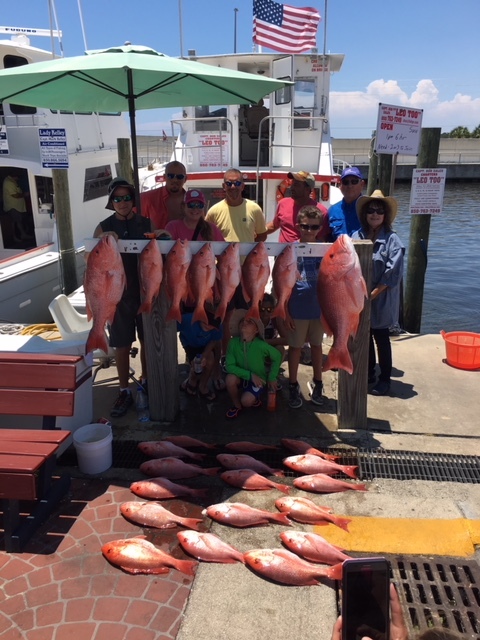 July is fill up fast. 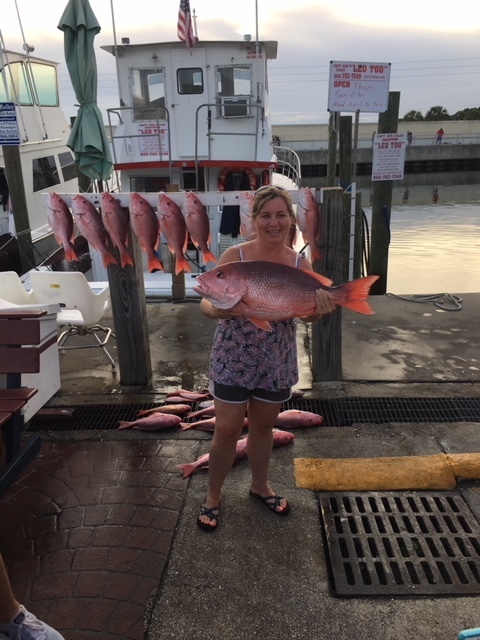 The last day to keep red snapper for 2018 is July 21.